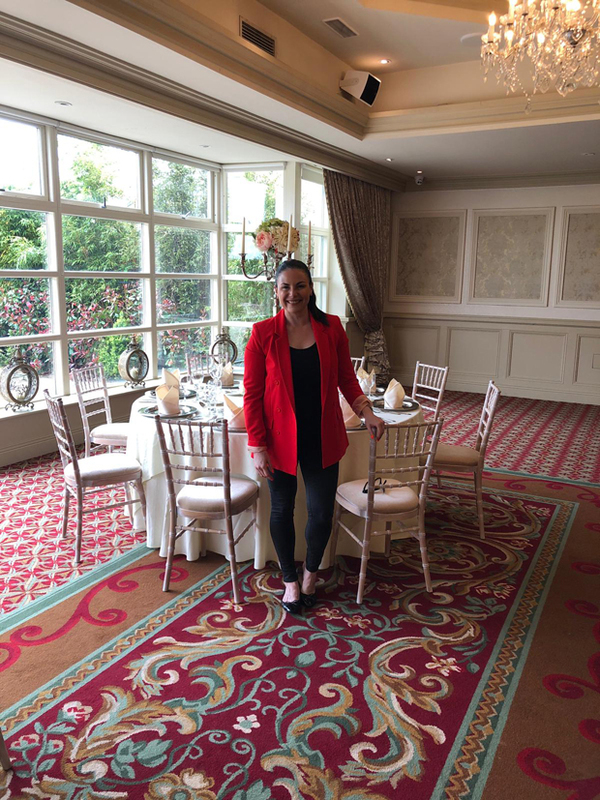 Hello everyone, I’m so thrilled to be racing around the countryside sampling the delights of all your winners from the weddingsonline awards… it’s been brilliant so far and I’m so impressed with all the stunning wedding venues we have unique to our beautiful country. It’s impressive to see the difference in styles and weddings that are held in each venue; but for me, the top of the cherry is how much every hotel and country estate takes pride in their weddings and understands that giving the bride and groom the attention they need and being patient is key to making any big day a success. I’m so impressed also with the amount of heart and love that is poured into making each wedding day memorable and that’s just the staff! To my mind, it’s only from talking to the men and women BEHIND the doors of your venues that you get to understand the level of passion and commitment they invest in you to make your day shine. 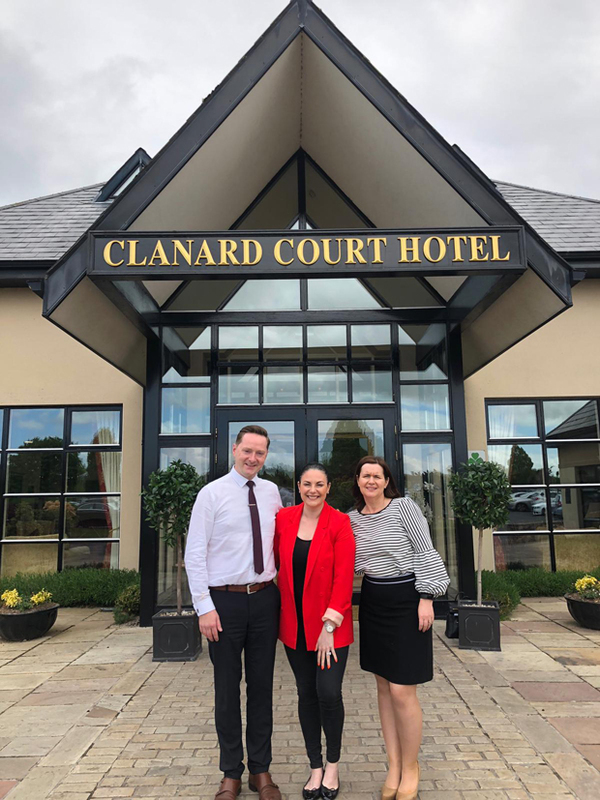 This time I kept it closer to my home with a stunning property in Kildare; the Clanard Court Hotel who won Hotel Venue of the Year in Leinster! 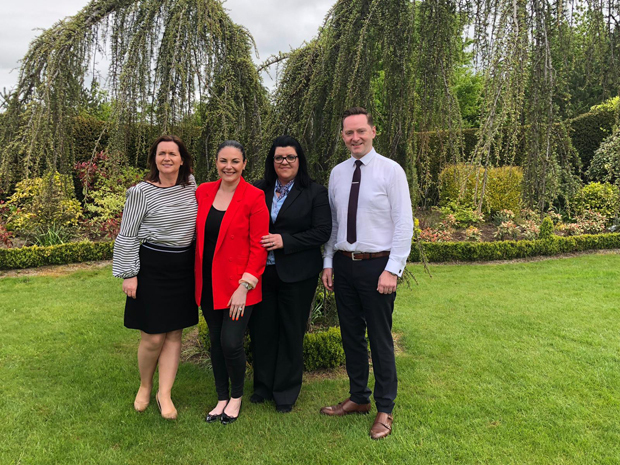 On arrival I was greeted by Claire Dunne (Wedding Co-ordinator) and Mary Fennin-Byrne (Owner and MD) who alongside their colleague Anna showed me around the hotel. I had never been to the Clanard Court before and I have to say first impressions last as I fell in love instantly. 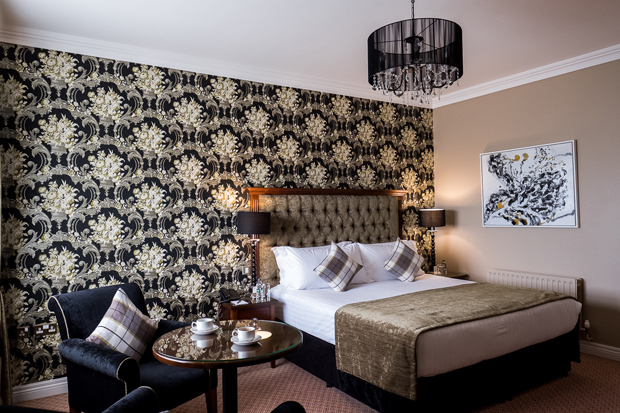 It’s a hotel that oozes country chic and cosy perfectly. I wanted to bed down for the night. 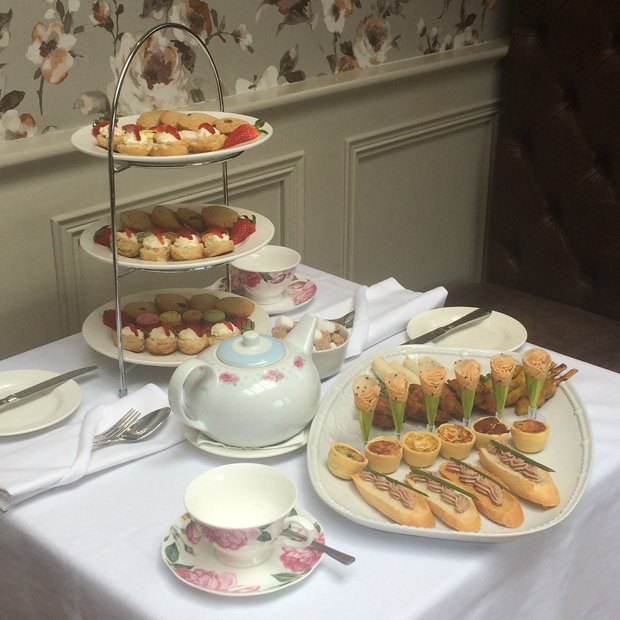 There would have been no moving me – with a massage, afternoon tea and a glass of Prosecco, I would never have left! Aside from the stunning gardens and sumptuous rooms, the atmosphere is so welcoming, it’s no wonder everyone feels at home here. 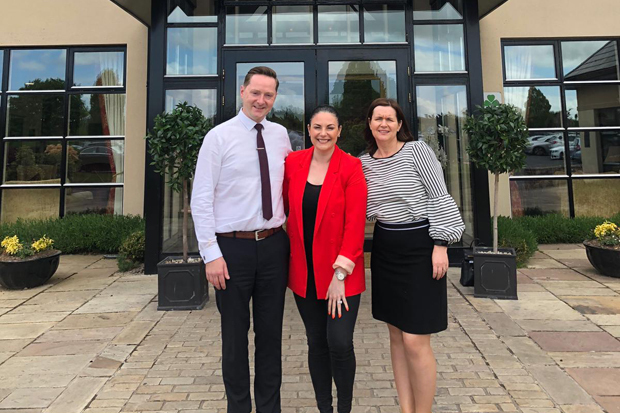 Firstly I couldn’t go a step further without congratulating them on their super win of ‘Hotel Venue of the Year Leinster’ – I mean, that’s a feat in itself! 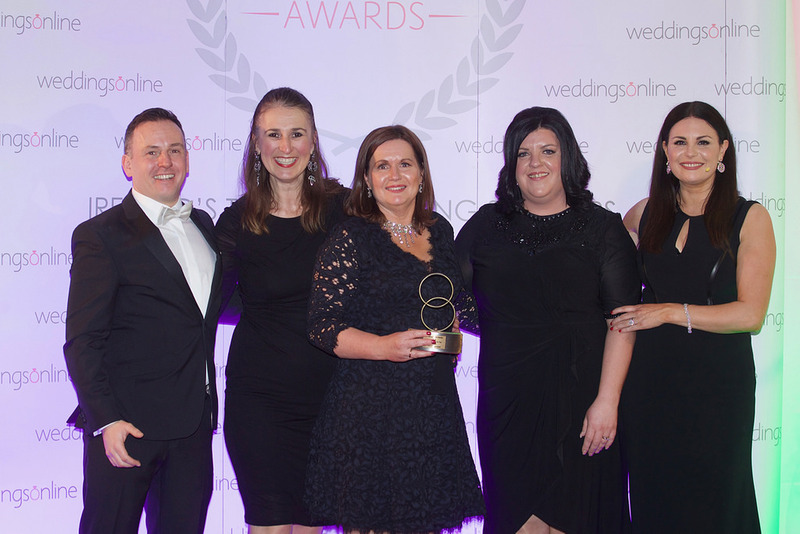 So, how did owner Mary Fennin-Byrne feel about scooping the coveted prize on the night of the weddingsonline awards? What does it mean for a small family run business such as this to win this award; aside from the local notoriety, does it mean more confidence in what you do? What struck me about the humble approach to winning by Mary and her team was also the fact that this is a very hands on hotel. Mary and her father tend to the gardens and Mary loves interiors which is very much a part of the fabric of Clanard Court. On inspection the rooms are beautifully decorated and tastefully achieved through pops of bright colours that really cheer you up and make you feel like not only would your time here be fun and restful, but that you’d enjoy going to bed at night in either your turquoise room, Hampton’s blue room or even your more daring black and green room complete with black chandeliers. 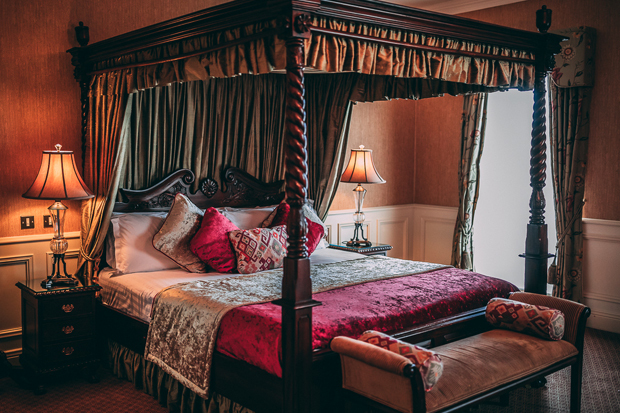 The Bridal Suite is very unusual, it has scatterings of green and pinks and is very friendly, cosy and uniquely designed with a large four poster bed and an amazing ornate marble fireplace. I can see why couples flock to stay in these unique and stunningly designed rooms. 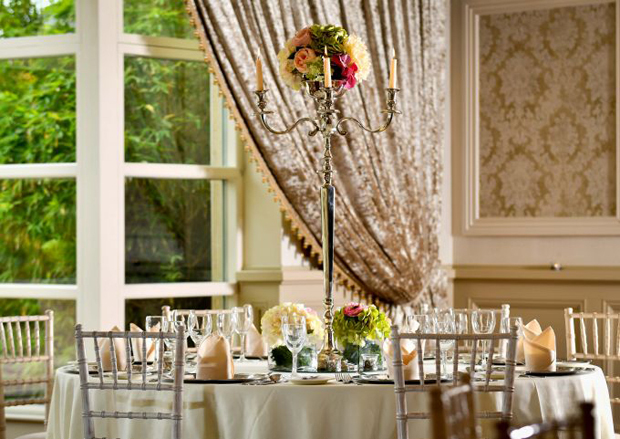 As mentioned the Clanard Court Hotel is a family country chic hotel and this is reflected in its ballroom complete with vintage chandeliers and room decor. 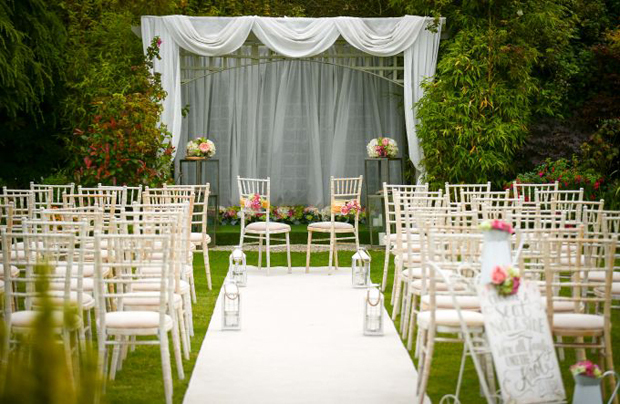 This beautiful ballroom has a feature that no money can buy… the garden. 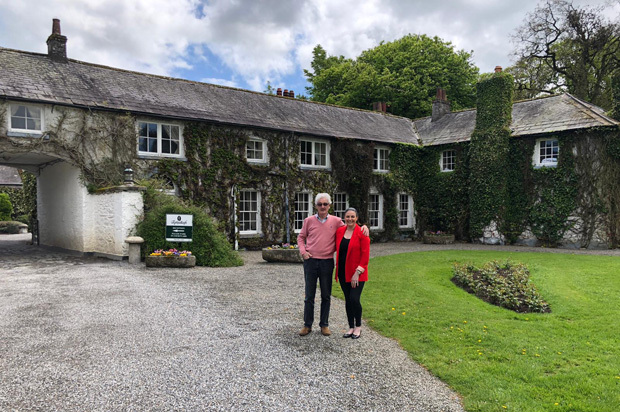 The gardens would make Diarmuid Gavin proud and come complete with preened rose bushes, a stunning centrepiece Weeping Willow Tree and little love seat at the back. The grass is lush and green and I could see many brides vying for an outdoor wedding if the weather holds, which was the case last weekend on the hottest day of the year! Simply stunning. As you can see, this is essentially a family run hotel with a strong sense of togetherness which stands out a mile, but aside from the family side of things, what makes the Clanard Court Hotel stand out from the crowd? But it’s not just that personal touch that couples can look forward to, they also have some amazing facilities at the Clanard Court Hotel. 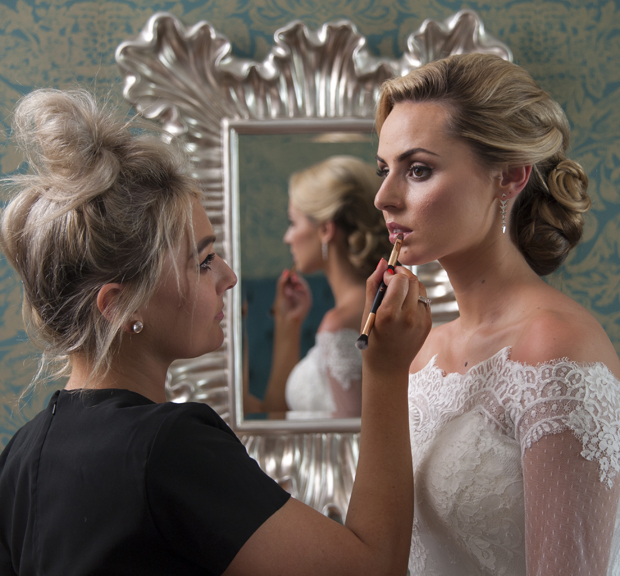 Brides can avail of their ‘Bridal Beauty’ service in the Revive Treatments Rooms where all their bridal beauty needs can be taken care of on the day itself, or if you’re after some pre-wedding pampering beforehand. 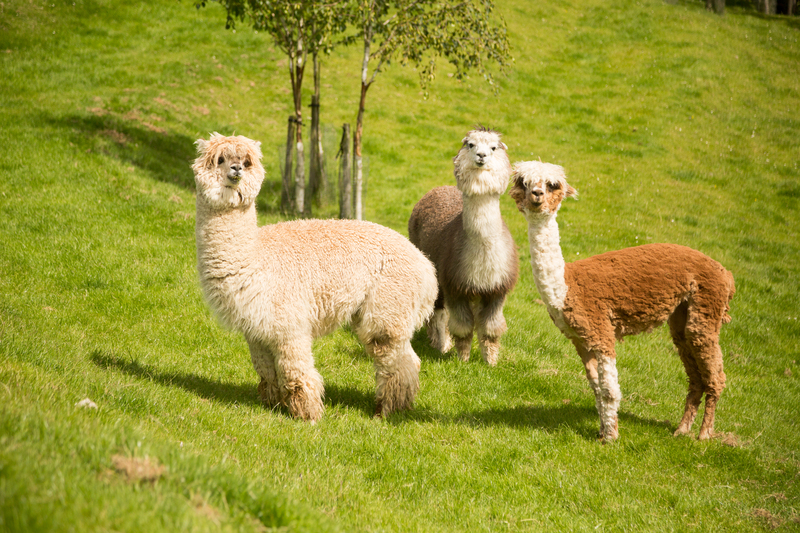 Another fabulous addition to Clanard Court has to be their resident Alpacas that roam the beautiful mounds around the hotel whom I learnt are happy to be in your wedding photos backdrop! 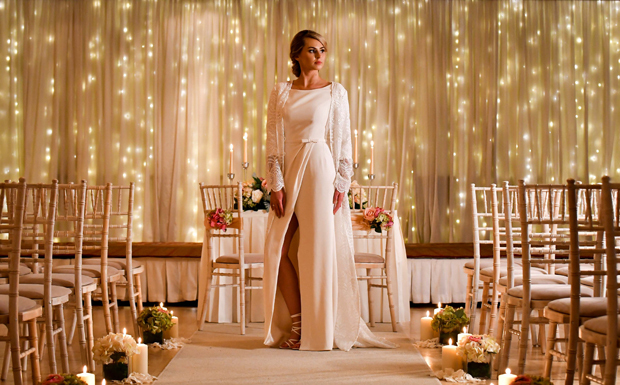 But Alpacas aside, I had to ask… what was the most unusual request Claire’s ever had for a wedding? Hear Hear Mary, I couldn’t have said it better myself! Congratulations!